We are a Hawaiian Real Estate Branch approved continuing education provider (Hawaii Real Estate Branch Provider # 1760). Complete your continuing education to renew your HI real estate license today. All of our courses can be completed At Your Pace online in order to help you maintain your license. Once you complete your class you will have an official certificate of completion available to print or save for your records. In order to renew your Hawaii real estate license you will need to complete 20 hours of continuing education for each two-year license period (January 1st of odd-numbered years through December 31st of even-numbered years). Licensees intending to renew their license on an active status must do so by the renewal deadline of November 30 (of even-numbered years). Of the 20 required hours you will need to take 6 Hours of Commission Designated Core and 14 Hours of Electives. This comprehensive 20-hour Hawaii continuing education package is designed to provide real estate professionals with an overview of important topics critical to the industry. This package covers topics ranging from basic property law to valuation of property to legislative updates and an overview of common law and statutory agency in Hawaii. Plus, this multifaceted look into the Hawaiian real estate market includes discussions of investment in real estate, property management, government loan programs, and the legal requirements for dual agency, all to help renew your Hawaii real estate license! This 8 hour Hawaii real estate package of educational content is designed to provide real estate professionals with an overview of important topics and concepts related to the ownership and management of real property. This package covers topics such as basic property law, legal descriptions of property, land use controls, valuation of property, taxation of property, investment in real estate, property management, and the foreclosure process. 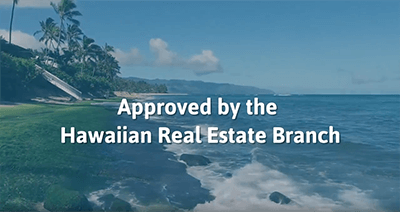 This 6 hour package of is designed to provide Hawaii real estate professionals with an overview of important topics and concepts related to the financing of real estate transactions. 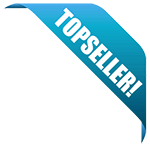 This package is primarily concerned with the financing of real estate transactions. This package will cover such topics as relevant lending laws, sources of funds, loans, government loan programs, and documents used in the financing of real estate transactions. This 3-hour course is one of two required core courses for real estate license renewal in Hawaii. In this course, we'll provide an update of legislative action from 2017, a lengthy discussion of electronic communications and social media, an overview of copyright and trademark laws pertaining to real estate, and a long look at the creation and and management of client trust accounts. This 3-hour course, which is required for renewal of your real estate license, is designed to provide Hawaii real estate professionals with an update on legislative action affecting the Hawaii real estate profession, an in-depth discussion of agency and its rich history in common law, as well as an extensive look into agency as it exists in the Hawaiian real estate profession today. The course includes numerous case studies, definitions, examples, and case studies that apply to day-to-day business in the real estate industry.